For the best bread pudding you'll ever make try this recipe for an old fashioned creamy and rich bread pudding, topped with a cream cheese frosting. One of my favorite desserts to make is really one of the easiest! In last nights culinary class we made Bread Pudding ( we set it up and baked it in the morning for lunch). And last night for the first time I shared the complete recipe, the last secret ingredients, the ones that make the difference between really good bread pudding, and bread pudding that so good it makes you want to eat more, even though you shouldn’t. So today I was giving out samples, as girls looked at it suspiciously, make pudding out of bread……How Gross……well that’s what they were thinking. So as I handed them a souffle cup of heaven I told them it’s not what you think!! So let’s move on to a dessert that was a staple at the restaurant I worked at and has been applauded at every stop I have made along the way since….Ladies and Gentlemen, I give you My Legendary Bread Pudding. Now let me warn you, it’s not for the faint of heart…. it’s not Vegan. 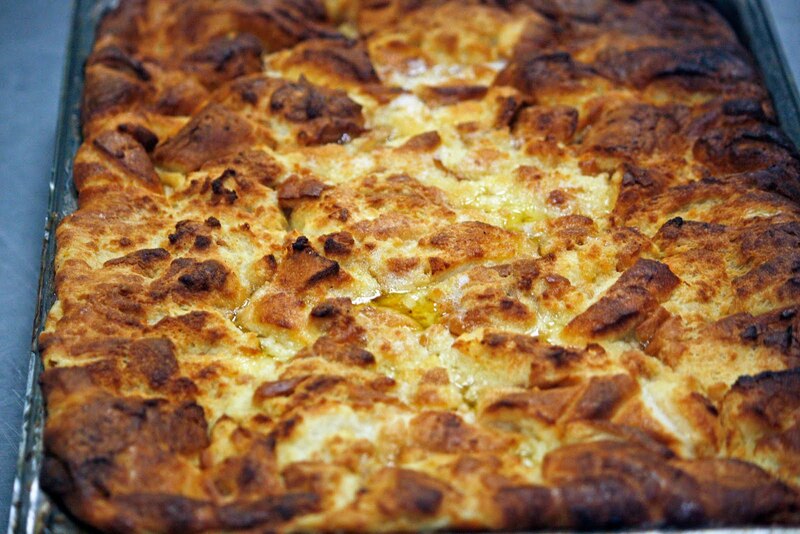 You can change the ingredients but it will only ever be really good bread pudding……..not legendary. The first thing you want to do is fine a proper baking dish or casserole to bake this in, around a 13×9 inch pan. In your mixer or a large container, mix the milk, eggs, sugar, and vanilla together, making sure all the eggs are beaten in to the milk and all the sugar has been incorporated. When it is well mixed, pour this mixture over the cut bread, mixing it well so that all of the bread has absorbed some of the milk. Let it sit for at least 15 minutes, overnight in the fridge is even better. This was my first experience in making bread pudding and it was AMAZING. Everyone that ate it absolutely loved it. This will definitely be my go-to dessert. My only issue was my cling wrap did melt. I think I’ll skip that next time. I have cooked your legendary bread pudding twice, and I loved it! It was my first bread pudding experience and I will continue to make this over and over again. I also took this as a gift to my sister-in-law (bread pudding is her favorite dessert) and she loved it! She said it was the best she has ever had and that it was far better than any restaurant! I directed her to your website (like I do all my friends).. Thank you for helping me make her day and cheer her up. It means the world to me! P. S. I loved it, but your chocolate mousse is still my favorite dessert of all time! I look forward to trying many more of your recipes! thank you Heather! it’s so nice it is to hear from someone who has used my recipes and like them! 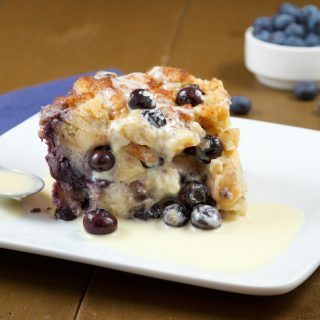 I don’t know if you saw my post but I added blueberries to the bread pudding recipe during the summer and made a creme anglaise for it…the results were stellar! Chocolate mousse is an amazing dessert, I can’t remember if you’ve tried my tiramisu yet? 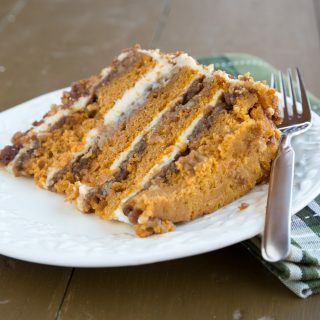 If you’re interested I am giving a live class on Google+ Tuesday the 20th at 5pm EST I will be making my Pumpkin crunch cake (another legendary dessert) for Google as a pre-thanksgiving event. All you need is a G+ account and add on the app for the hangouts, if that’s a bad time it will also be a you tube video. I’ve actually gotten marriage proposals with from this cake! Thanks again for your feedback, have a great night! I will definitely have to try the bread pudding with the blueberries! It sounds phenomenal! I haven’t tried the tiramisu yet, but I am making plans to try it soon. Thank you so much again for all of your amazing recipes and your willingness to share them. And thank you so much for responding, it means a lot to me! Have a great week! Can you explain a little bit more about putting on plastic wrap and then foil? I did this, and when I took the pudding out to remove the cover for the last 15 minutes, the plastic was melted to my pan, the foil and a little on the pudding itself. Am I using inferior plastic wrap? Is it supposed to do that? I was able to pick the pieces off of the pudding but, since the wrap is clear, I can’t be sure I got all of it. I have never had any of the plastic wrap stick to anything before. It does adhere to the foil and it will stick to the sides of the pan but that’s never been a problem. I know at work we do have a heavier cling wrap, but I do the same thing at home all the time and use glad cling wrap and just about any brand of foil. The only thought that comes to mind was perhaps the plastic wrap wasn’t tight enough on the dish, you also want to make sure you have a good seal with the foil. I use this method when ever I make lasagna, baked ziti, and even rice in the oven and have for the past 30 years. Hopefully this didn’t cause to many problems, I am sorry you ran into trouble with the method. I hope that at least everyone enjoyed the pudding. I'm so excited! I love bread pudding but don't have a good recipe for it. This sounds absolutely scrumptious and I'm printing now! Cream cheese frosting and made with potato bread? Wow!!! That pesto hummus looks divine! So simple and SOOOO delicious. I love bread pudding and with the cream cheese frosting, DANG! I love pesto and hummus, so combined, what a dream! The Pesto Hummus looks delectable! I never thought to put the two together, I'm definitely trying this! Oh the bread pudding looks heavenly!!! I never thought to use potato bread. All the cream and the cream cheese … you can't go wrong with this. I can't wait for this week-end to make this bread pudding for my friends and family-it looks and sounds so incredible,thank you for sharing the recipe. And the creme cheese frosting-oh my gosh on an already wonderfully rich bread pudding..heaven ! All looks amazing, so love bread pudding! And bring on the fat and heavy cream, a bit of what you like is good for you. good not only on the flavour but also on the body!! 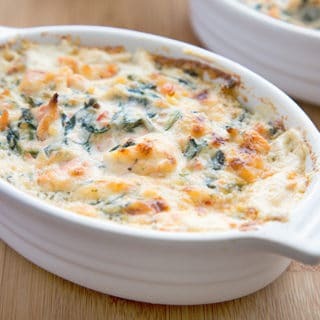 One of my most favorite recipes! Made this for my brother as soon as I got the recipe at the Mount. He still requests it when he comes home from school. It's a family favorite!! Totally great what you are doing Dennis.. I love savory bread puddings too! I think that Jamie Oliver should know about you. The more kids know about food… the better they eat. KUDOS!!! Thanks for stopping by my blog. I can't wait to read up on yours. My kids would die if I made this bread pudding for them.It looks so, so delicious. For some reason I can't get them eat Hummus. Aaack! You had me at bread pudding 😉 Bread pudding has got to be one of my favorite desserts! Yours looks wonderful and mouth-watering. Thank you for sharing your recipes. Bread pudding is one of my favorites. This looks incredible! Can't decide which recipe I like better. Sweets always win my heart but the hummus looks so easy and unique. Two are better than one. That is a very rich pudding but so worth it. Just founds your blog and will be following along as you share your recipes! This bread pudding looks delicious! Oh my gosh, this sounds amazing. I'm bookmarking it to try the next time my family visits us. Thanks for the recipe. I think it was the cream cheese frosting that made me melt. 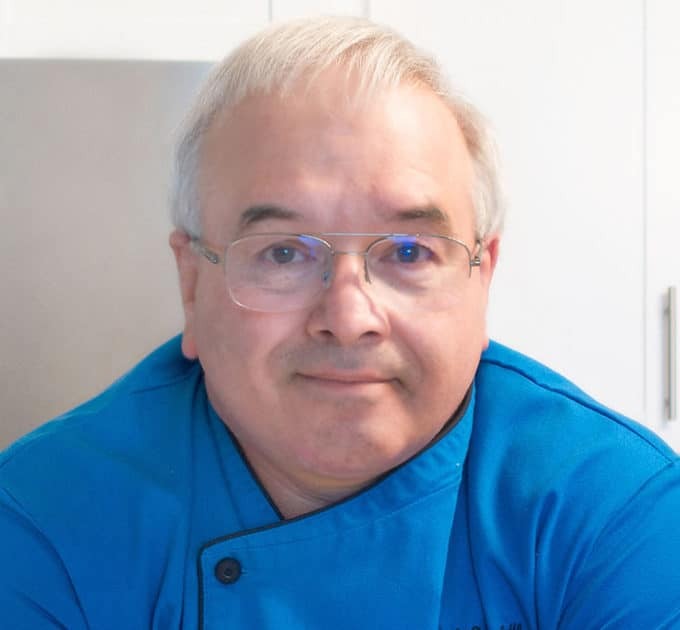 Hello Chef Dennis, you have made a fan for life. Anyone that has that much passion for bread pudding is ok in my book. I cannot pass up a bread pudding when I see it. I have never heard of a cream cheese frosting, so now I must not pass on this recipe. Thanks for stopping by and leaving me comments. I would have loved to take some sort of culinary class in high school. Your job sounds like so much fun. I'm always trying to stretch myself in the pesto area and pesto hummus is a wonderful way to do it. The bread pudding is a little bit out of my calorie count, BUT, you used fresh ingredients, no need to apologize. Looks fabulous. Dennis, I came to thank you for visiting and your sweet comment and I'm so glad to have found YOU! I LOVE bread pudding! Have you ever tried it with Panettone at Christmas?? YUM! That bread pudding is just gorgeous – so airy and golden. And topping it with cream cheese frosting – wow. Great that you've introduced the girls to what bread pudding should be; those leaden ones restaurants sometimes serve are such a tragedy. What a sinfully delicious bread pudding, I could devour the entire dish- serioulsy I could..thanks for stopping by i just read your profile 560 girls, oh my I love it…you have a great blog..I will follow with great pleasure.. If dairy fat didn't make me sick (it didn't used to) I would eat a whole tray of that. In fact, I think a stomach ache might be worth a bowl of heaven. Bread pudding looks stunning, with the cream cheese frosting. 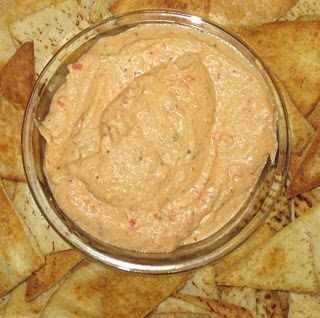 it's totally stealing the thunder of your hummus.LOL. I've never liked bread pudding, but that may be because I've never had yours! The ones I've had weren't even good, they were just OK. You've convinced me to try yours…during the holidays when I'm not watching my calories–lol! This recipe is sinfully rich, which usually wouldn't phase me (too much) but I just started eating healthier b/c I need to lose about 35 pounds. Phooey! Thanks for sharing your recipe–can't wait to try it! I love bread pudding! I usually serve my bread pudding with a mixture of melted vanilla ice cream with some kind of liquor. 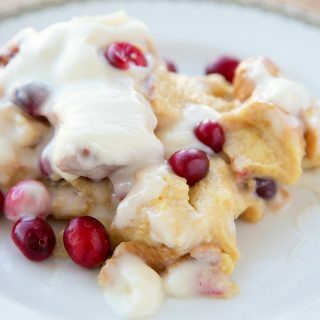 Bread pudding with cream cheese frosting sounds heavenly good!! I should definitely try this! What a coincidence…I'm making bread pudding tonight for a fundraiser in my town this Sunday. Your cream cheese topping is interetesting! I'll have to try that one day. Thanks for stopping by by blog. That pudding looks perfect, so simple and elegant. I've seen so many variations, this one is a classic. I love the pesto idea for hummus. I love hummus so much, I make my own chickpeas for it in the slow cooker. That bread pudding is no doubt the richest and most delicious one ever! Oh my goodness that bread pudding looks out of this world! So good with the cream cheese frosting! And your pesto hummus recipe is excellent! 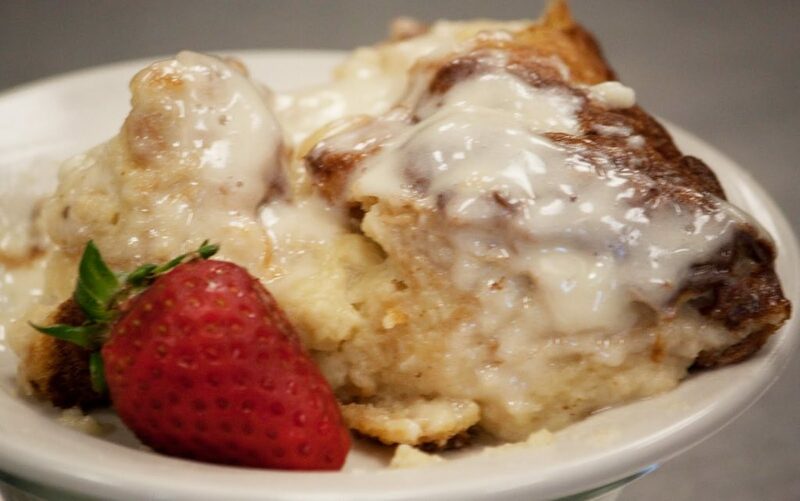 Your bread pudding….OMG! Warm Bread pudding is my favorite dessert but I have never tried to make it since my daughters snub it as soon as they look at a bread pudding. This may do the trick! That pudding looks EPIC! Thanks for being my FIRST follower! Have a fun day! I love the idea of pesto hummus! I never eat hummus but pesto is a great love of mine. Is this bread pudding is like Bread & butter pudding?? I love both recipes as they looks really tasty. Wow! I feel all warm and toasty just looking at the pictures! I love bread pudding and will have to try this recipe SOON! I was going to ask how you fed 560 girls each day, but after reading through some of your poss, it seem the answer is "quite well"! such a fun blog..the cream cheese frosting sounds like it would definitely be legendary…i wouldn't change a thing! How unique! This looks absolutely to die for! Bread pudding with cream cheese frosting?? OMG!!!! I can't wait to make this! Gosh chef! I do make bread pudding. Am going to add your secret ingredients and get back to you. A million thanks for sharing the magic. Pesto hummus, what a great idea! Healthy and delicious and basil is coming into season soon! I need that bread pudding. That photo is so tempting! Oh my heavens…this looks beyond decadent. I've been looking for a bread pudding recipe, and I think I found it! I would not have been one of the girls to shrink away from bread pudding. I totally understand how downright sinfully delicious bread pudding can be- No doubt, your recipe is legendary. I love the cream cheese frosting. That is new for me and definitely worth a try. The Pesto Hummus is good but, I am still swooning from the bread pudding recipe. Delicious bread pudding! I miss this very much. Very English dessert, I love it. What a rich bread pudding, Dennis. Sounds like old school decadence to me-I love that! Oh, and I made your roasted chick peas today and had them with a beer. Very nice indeed!